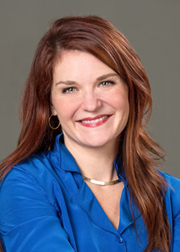 Beth Kenward is the owner of Healthcare Resource Center a one stop shop Medicare and Group benefits insurance brokerage for companies like Humana, United Healthcare, Mutual of Omaha, and Aetna, just to name a few. She was the number one sales agent for Humana group benefit sales in the state of AL for the year 2014 and 2015. As a Medicare specialist she hosts Medicare 101 seminars regularly at Dothan’s local libraries to de-mystify Medicare insurance and help Medicare elligibles make the best decisions for health care coverage. Beth served in the Dothan, AL branch Covenant Hospice for 4 years as the Development and Volunteer Manager and was honored as employee of the year in 2012. Under her leadership the Covenant Hospice volunteer team grew to more than 225 trained volunteers and had the most successful fundraising years to date through community events like the Holiday of Hope Marketplace and Pumps and Pearls. Kenward moved to Dothan in 2005 from New York City where she worked for 5 years in the financial data industry for companies like Money.net, CBS MarketWatch, and Dow Jones News as a client services manager and sales operations manager. Her primary responsibilities were product sales, to insure timely development, and delivery of products for corporate accounts throughout the United States, Australia, Canada, and Europe. Beth began her career in the financial data sector in San Francisco, CA at a start-up company, Stockpoint.com in the year 2000 and was part of a company merger that took her to NYC. Early in her career, she worked in the Research Triangle Park area of Raleigh-Durham, NC after graduating from the University of North Carolina, Chapel Hill with a Bachelor of Science in Psychology. She is an active community volunteer and advocate. She has served as a board member of the Dothan Houston County Rotary Club, the Wiregrass Museum of Art and the Houston County Republican Women. Beth has been an ambassador and diplomat for the Dothan Area Chamber of Commerce, a member of the Houston County Republican Executive Committee, a member and volunteer for the Harvest Church Worship team, a member of the Philanthropic Women’s Society of SAMC. She was honored as one of the “40 Under 40” by Dothan Magazine in 2013 for her role as a young leader in the Dothan community. Beth graduated from the Leadership Dothan in 2014 which convinced her to run for the office of Dothan City Commissioner. Beth was elected in March of 2015 and is our first, elected, female city commissioner. Since fundraising is in her blood, Beth is currently organizing and raising money for Pumps and Pearls 2017 to benefit Dothan’s Single Parents in Need(SPINN). She is married to Tony Kenward and a proud mother to Scarlett (10) and Deacon (8).